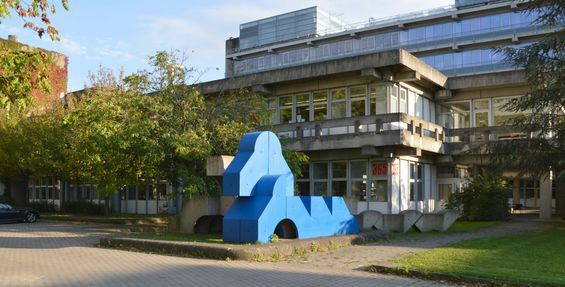 In September 2014, the section "Experimental Surgery" of General, Visceral and Transplantation Surgery, University Hospital Heidelberg was renamed into Section Surgical Research. This reflects the already accomplished thematic reorientation and the plans for the future contradicts. Over the years the range of the originally mere animal research of the Experimental Surgery has changed dramatically. Previously, the focal point was to test new surgical techniques on large animals by doctors of the Department of Surgery, Cardiac Surgery, Children's Hospital, BGU Ludwigshafen and Orthopedic Hospital. The blood flow of organs was examined by intravital microscopy and we introduced new solutions to improve ischemic tolerance tested in terms of heart and liver transplants. Since 2006, the research focus has shifted increasingly toward the research of molecular oncology and liver transplantation. ( Table 1). The Section Surgical research, INF 365, is located in the Theoretikum of the University Heidelberg in close proximity of University Institutes, clinics and the German Cancer Research Center. The research projects are underway in close collaboration with colleagues at the main building of the Department of Surgery at other clinics and at the DKFZ Heidelberg. 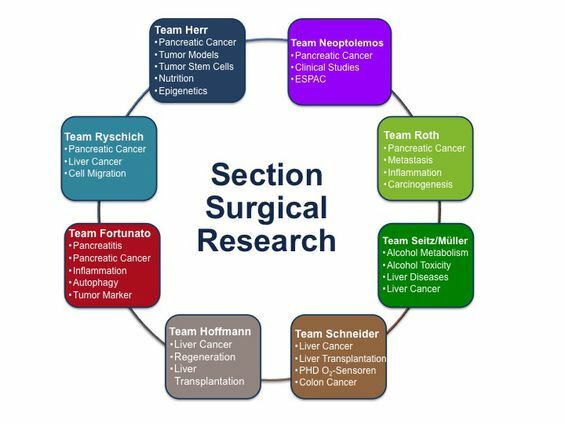 At the Section of Surgical Research different disciplines are represented through the specific selection of clinicians and scientists. In basic research: Molecular OncoSurgery (AG Herr), Microcirculation and Cell Migration (AG Ryschich), TissueFACS (AG Fortunato); in the Clinical Research: Liver Surgery (AG Hoffmann), Clinical Research Group KFO 227 (AG Schneider), Inflammation and Pancreatic Carcinogenesis (AG Roth) and Alcohol Research (AG Seitz).